As any preacher knows, Jesus’ teachings can be quite challenging. They often call us to consider matters we would rather ignore. They challenge what “common sense” would deem appropriate. The Gospels can be manipulated in all manner of ways, to support many an agenda. We’ve all run into them. David Cartwright is a retired Disciples of Christ preacher who is skilled at teasing out the message of Jesus in ways that is faithful to the text and connects to the audience. I say this not as one who has heard David preach, though he has filled the pulpit at my church during an absence. 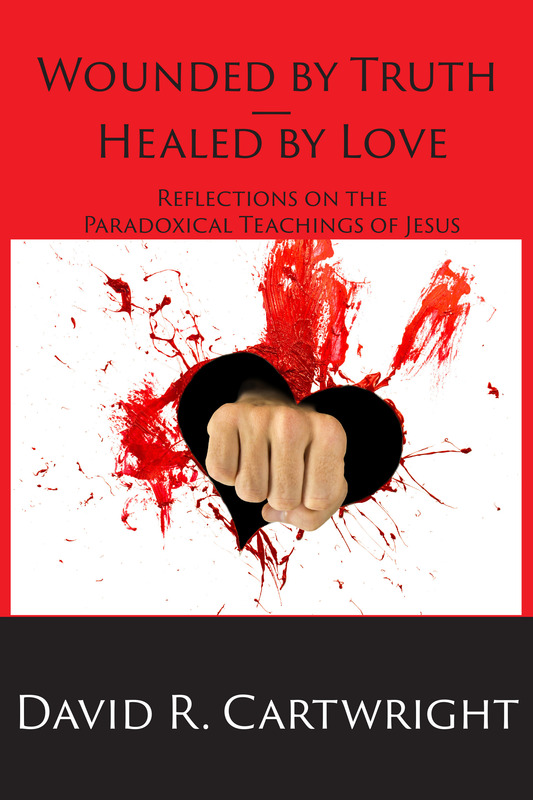 I can say that from reading this collection of fifteen sermons that carry the intriguing title “Wounded by Truth, Healed by Love.” The title demonstrates the paradoxical nature of Jesus ministry, which at the same time wounds and heals. It wounds by making us uncomfortable with the status quo of our lives. It heals by bringing words of compassion and love to our lives. The fifteen chapters (sermons) wrestle, as sermons should, with biblical texts — in this case Gospel texts. They cover a variety of important issues, from ethics to questions of power in congregational life, from finding and offering welcome to offering forgiveness (and whether there are limits to forgiveness). Fittingly the final two sermons address death and resurrection. The chapters are brief — as sermon manuscripts should be — making them useful for devotional reading. Scripture texts are provided for each sermon, so they can be read along with the sermons themselves. Although there isn’t a study guide provided, I believe that this would be a wonderful text to use with a bible study group. In fact, we will be using it in that way. This is a thoughtful book full of wise engagement with the Gospel stories. Jesus’ message isn’t always easy to understand or accept. Turning the other cheek doesn’t seem to fit with human tendencies, and yet that is the calling. In the end, this is a book about the healing power of love, and we all need to hear that message!